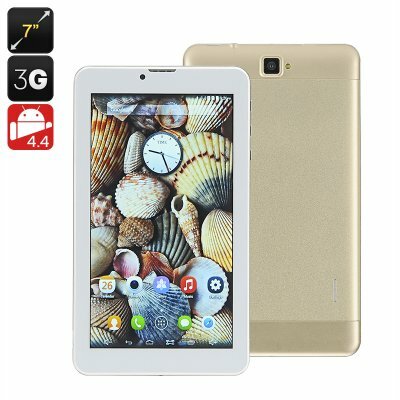 Successfully Added Android 3G Phone Tablet - 7 Inch 1024x600 IPS Screen, SC5735 Cortex A7 Quad Core CPU, Two Cameras, Wi-Fi, 8GB ROM, Bluetooth to your Shopping Cart. Not ready to drop the big bucks on an iPad? Not to worry! This compact 7 inch Android table comes with lots of functionality, 3G connectivity, a quad core CPU and more. The 7 inch 3G tablet is a great budget option for those looking for a powerful media tool, yet without spending too much money. Coming at under $50, the tablet offers extensive network connectivity: 2G (GSM 850/900/1800/1900MHz) and 3G (WCDMA 2100MHz). Thus, in addition to quick and stable web access, you will also be able to use the tablet as a phone. You will also get the convenient Android interface and access to the Play Store. The 7 inch 1024x600 IPS screen makes the tablet compact and easy to carry around and use in the go. At the same time, you will be able to view all your media in good quality: watch movies, browse the web and so on. Moreover, the tablet comes with two cameras: so you will be able to snap quick selfies or take cool pics of the scenery around. The powerful SC5735 Cortex A7 Quad Core CPU and Mali-400MP GPU will ensure smooth operation, easy multitasking and great gaming opportunities. The 2600mAh battery offers up to three hours of non-stop use time and 72 hours on standby. 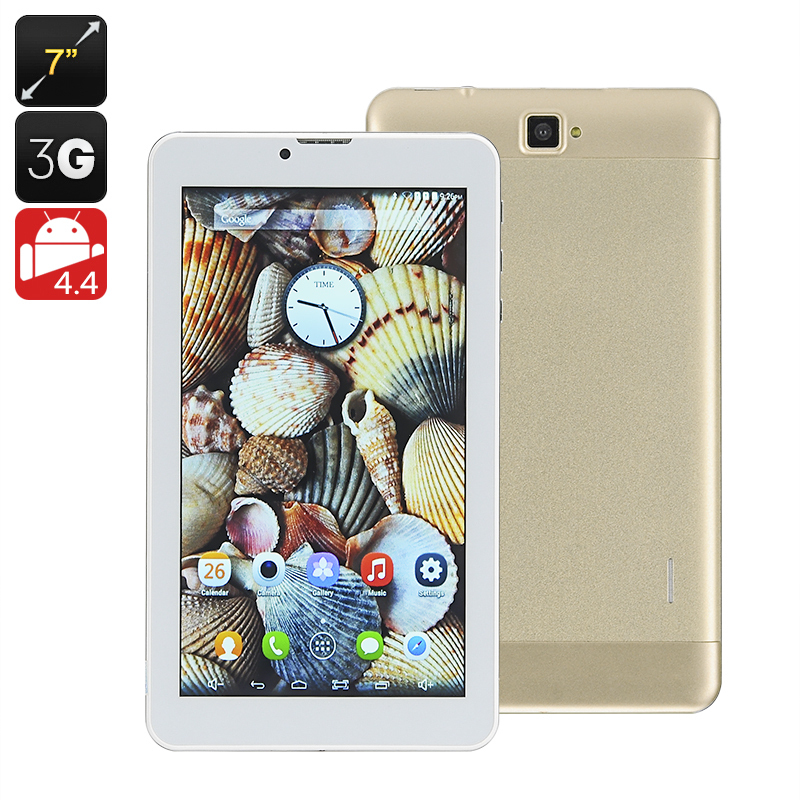 The Android 3G Phone Tablet comes with a 12 months warranty, brought to you by the leader in electronic devices as well as wholesale Android tablets..